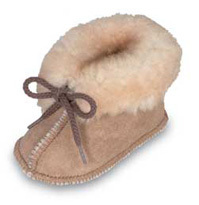 Since 1946, Minnetonka has been a staple of American style. As post-war Americans took to the highways exploring the country's natural beauty, they stumbled upon resorts and souvenir shops carrying traditional handmade goods. 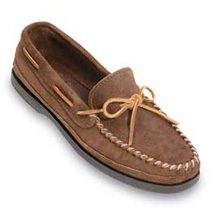 And in the process, rediscovered America’s original footwear in Minnetonka moccasins. Today, our products can be seen all around the world—from the Boundary Waters of Minnesota to the streets of New York, London, and Tokyo. No matter the footprint, all are made with the same uncompromising craftsmanship using only the finest quality materials. 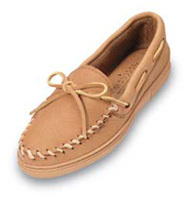 Minnetonka continues to define American culture with classic design that is forever connected to our natural, free-spirited heritage. Want to learn more? Push play to watch The Minnetonka Story and go behind-the-scenes to see what goes into creating the Minnetonka product.